Today, you will be arriving in one of the most important and beautiful cities of the world’s history: Constantinople! After meeting your guide at the airport, you will be boarding your luxury minivan, and start your expedition in this fascinating city where the continents meet each other! 9.00 am your day of exploration of history and architecture. Your first visit will be to the Blue Mosque. Istanbul boasts its monumental shrines of different faiths and Blue Mosque is probably one of the most famed masterpieces of Ottoman religious architecture. 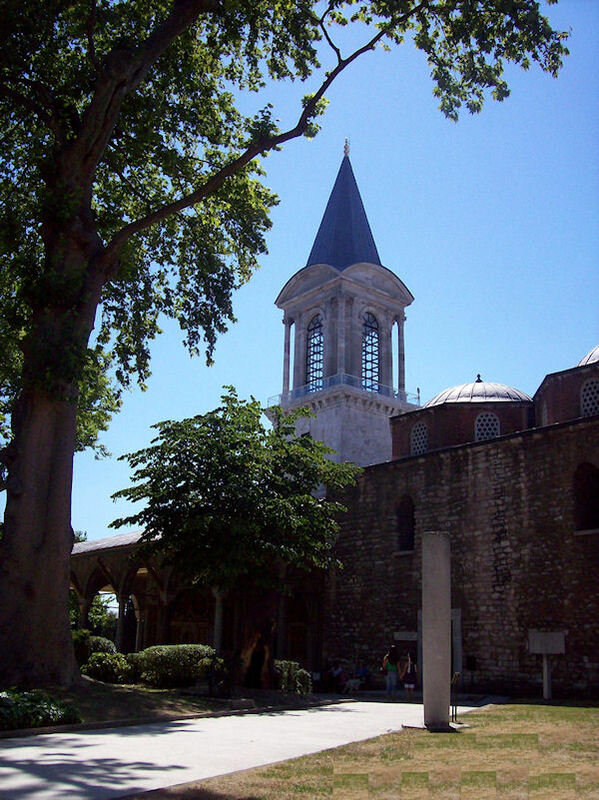 Continue your morning by visiting the home of the Ottoman sultans: Topkapi Palace! Located on the very cape of the peninsula where Constantinople was founded, Topkapi Palace was built as the center of administration of Ottoman Empire when the city was conquered by Ottoman Turks in 1453 AD. Today you will be having an intense tour of the palace going through corridors and different sections of the Harem where Sultan lived with his family members. Leaving the Harem through the “Golden Corridor” you will reach the inner courtyard to visit the Treasury that displays exclusive examples of jewelry and accessories which were dressed by the Sultans or were given as gifts to ambassadors. Leaving the Topkapi Palace, you will be visiting the Basilica of Saint Sophia that was built by Justinian the Great during 6th century. Later in the afternoon, you will be exploring Grand Bazaar and Nuru Osmaniye District. Istanbul has been center of commerce and trade between the Orient and the Occident even before the arrival of Ottomans. After enjoying the experience of the Grand Bazaar, you will be transferred to the pier for embarkation to your cruise ship. Overnight aboard (own arrangements). Please note breakfast is included in the cost of the tour, all additional meals are not included. Minimum of 2 passengers required for this tour. - One-way escorted private transfer from Istanbul Airport to hotel. - 1-night accommodation in Istanbul on BB basis. - Services of an English-speaking professional private tour guide for touring. - Transportation by deluxe A/C non-smoking minivan throughout the program. - All entrance and parking fees for the sightseeing mentioned in the program. - Complimentary refreshments throughout the journeys on the vehicle. - Travel kits with map, guidebook, useful information sheet, stamped postcards and bookmark. - Meals except for breakfast at the selected hotel. - Beverages at the hotel and elsewhere. - Honorary gratuities for the guide and driver. Don’t forget your camera. Please note the rate is based on double occupancy – please contact us if you need a single rate. Please note breakfast is included in the cost of the tour, all additional meals are not included. Minimum of 2 passengers required for this tour. Istanbul International Airport. The specific meeting location will be listed in your confirmation email and voucher for this shore excursion. See the 'Redemption and Voucher Details' section below.